Our Congregation provides its members with many opportunities for social action. Our programs benefit our soldiers, families, and those struggling in these difficult times. We reach out to help our congregants, our community and Israel. By reaching out to people in need, we not only help to repair the world, but also strengthen our Jewish identity and provide an important example of our values to our children. Temple Israel is the proud originator of Community Days on Staten Island. Please come help at our Food Preparation Event on November 25 at 10:00am. The Mitzvah of feeding the poor is one of the most important mitzvahs we can do to help our community. But we need your help to accomplish this important task. Please let me know if you will be able to come and help, or just show up if you can’t call. 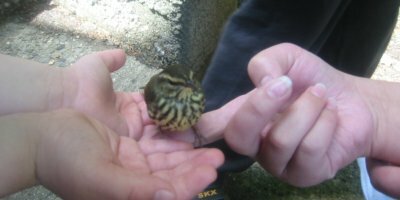 Tikkun Olam, to heal the world, is one of the basic tenets of Reform Judaism. Therefore, the work of our Social Action Committee is important to us, to identify more closely with our faith, to the community and to show others what is important to us. 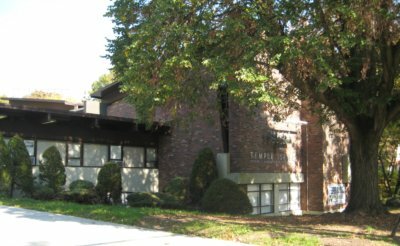 There are many activities at Temple Israel that you can take part in to help our community. Through the generous donations of some of our members we are getting close to filling our backpacks for next year!! If you would like to be a part of this wonderful mitzvah please donate to Social Action and indicate that you are donating for the Backpacks. If you would like to attend the graduation where the backpacks are given out just let me know!!! Our Social action group prepares meals to bring to Project Hospitality for those that are hungry. Feeding people that do not have enough to eat is such an important Mitzvah!!! Thank you to all of the hard workers who come to help prepare the food!!! This Mitzvah would not be possible without you!!! If you have not joined us in the past, please come to this month’s food preparation on Sunday, November 25that 10:00am. or join us for our special food preparation event on Christmas Day, Tuesday December 25that 9:00am when we prepare a special Christmas meal for those who cannot afford to make one for themselves. Did you know that neither WIC food stamps cover the cost of baby diapers? 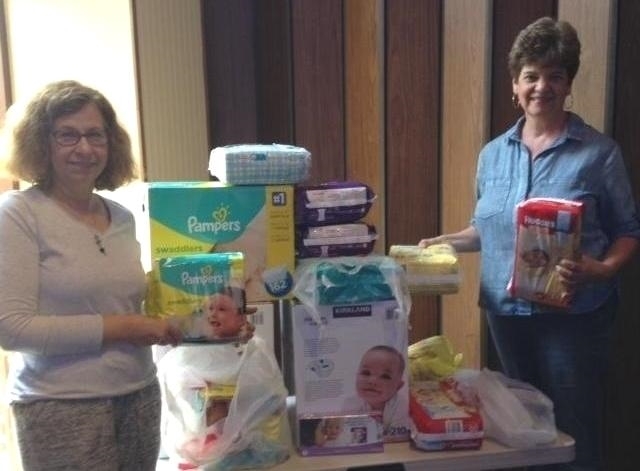 In order to help, we provide packages of diapers to Project Hospitality to be distributed to mothers of infants. Please buy diapers or make a donation to Social Action to support this cause. Of course, none of the things Social Action does could be accomplished without your generous donations. We have been able to feed thousands of people less fortunate than ourselves and hope to feed thousands more, thanks to you! We have given hundreds of backpacks to children who might otherwise not received them, and hope to give hundreds more, thanks to you! We have diapered hundreds of babies helping hundreds of families, and we hope to help hundreds more, thanks to you! Please help us continue our important work for our community by donating both your time (for food prep events if you are available) and funds. Thank you so much for your support! FOOD PREPARATIONS: In conjunction with Sisterhood, we are trying to do more food preparations for Project Hospitality. Please watch the bulletin, calendar, and flyers for the upcoming food preparations. If you can mix a bowl of ingredients together, if you can peel a carrot, if you can open a can with a can opener, you are qualified! The last week in June, members of the social action committee attended the Silver Lake Head Start graduation ceremony which took place in our social hall. At that time, the preschool graduates were presented with their fully loaded new backpacks which was a project of our social action committee. Congregants made donations to purchase the backpacks and new school supplies to give these youngsters another “head start” as they enter kindergarten in the fall. Additionally and surprisingly at the graduation ceremony, Temple Israel’s social action committee was recognized and presented with a community service award plaque for our continuing efforts in donating a variety of needed items to the preschool over the past few years. We were delighted to be acknowledged by our grateful tenants with whom we have shared our building for almost 20 years. 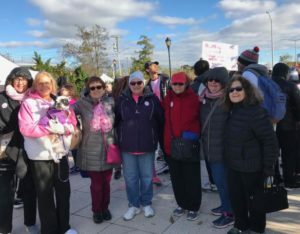 Temple members present at the ceremony included Judy Scher, Bryn Biren, Inez Singer, Judy Pessah, Linda Brill, Jerry & Karen Gross, and temple secretary Lara Calderon. A special thank you goes out to Barbara Feigelman who purchased the backpacks and the majority of the school supplies. TEMPLE ISRAEL PROVIDES ASSISTANCE FOR THE VICTIMS OF SUPERSTORM SANDY. Many people lost power and some their homes. Temple Israel stepped in to help. We opened our doors to the community to use our social hall to warm up, power up their computers and phones. Collections of money, food, clothing and supplies were made and distributed. Diapers, and coupons to purchase diapers are being collected to benefit Project Hospitality. Over 3500 diapers have been donated so far. The feedback has been positive in how this effort continues to fill a great need in the community and has really made a difference to so many mothers. The collection bid is located in the lower lobby (by the coat rack) on Friday evenings and Sunday mornings. Monetary donations are also accepted for the purchase of diapers. FOOD PANTRY at Temple Emanuel is in dire need of regular volunteers during the hours of 12-3 on Tuesdays and Thursday, 4-7 on Wednesday, and 5-7 on the last Thursday of the month. All of the food at the pantry is kosher. They feed 8,000 per month. COJO Kosher Food Drive – We collect kosher food items in cans or packages (no glass or perishables). There are collection bins in the lobby. Project Hospitality Food Drive – We collect non perishable food items in cans and packages (no glass). HELP REFOREST ISRAEL PROGRAM – Donating funds to The Jewish National Funds to plant trees lost in the December 2, 2010 fire in Mount Carmel, Israel. We care about our earth! We recycle by collecting cell phones and eye glasses. The items collected are passed on to organizations who reuse them for people in need. There are collection bins in the office. 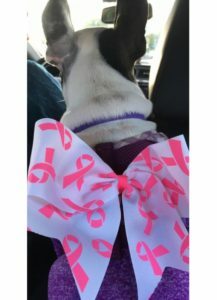 Participation in Breast Cancer Walks for CSI Breast Cancer Research Project and the American Cancer Society.